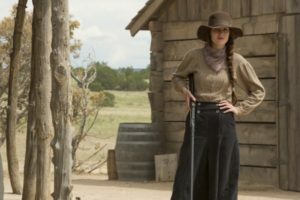 Godless – Original Netflix Limited Series Soundtrack will be released digitally on July 6, 2018. This album features music composed by Carlos Rafael Rivera (A Walk Among the Tombstones) for the Netflix Western mini-series. 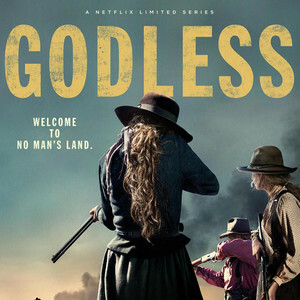 Godless the series is currently streaming on Netflix. “Too much bagage and no cliches”. 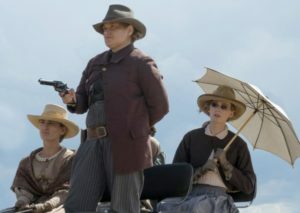 Umm, the score in Godless is textbook cliche from the first second till the last second. Probarly I have no taste/uneducated. Unlike the music editing department who might wish to patronize me and assume knowing what they are doing. Like Beethoven is fine music! No it is NOT, Beethoven is cliche as well, from the first till the last second. Mozart, Bach, Monteverdi, THAT is non cliche music sir..